When is the Best Time to Visit Czech Republic? Dreaming of wandering the timeless streets of old Central European towns or washing down goulash with pilsner in a traditional Bohemian pub? The Czech Republic beckons! 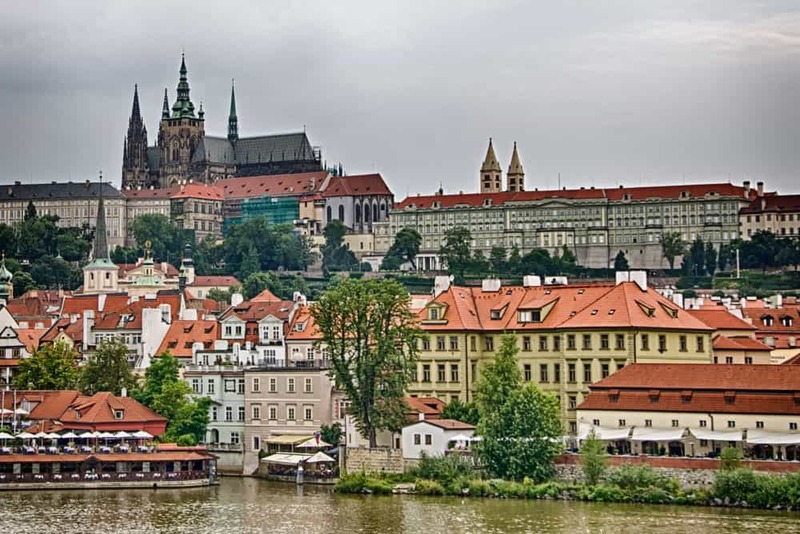 As easy as it would be to hop on the next flight to Prague and create the ultimate Czech Republic itinerary, you might want to hold up. Even if there’s no better time to visit Czech Republic than now, there is a best time to visit Czech Republic. Like in much of Central Europe, the big challenge with planning a trip to Czech Republic isn’t logistics but nailing your timing. Besides dealing with ever-increasing tourist crowds, Czech weather can put a damper on even the best etched travel plans. Discover the best time and best month to visit Czech Republic and where to go with this Czech Republic weather guide for travellers. The verdict: When is the best time to visit Czech Republic? Why visit Czech Republic in May or September? Czech Republic exemplifies a typical continental European temperate climate. There are four distinct seasons in the Czech Republic ranging from warm and humid summers to cold and grey winters. At anytime of the year, Czech weather (like its neighbours Germany and Poland) is predictably unpredictable. Sunny summer days can be crowned with rain and thunderstorms or the sun peeking through the clouds can warm up a cold winter day at the drop of a hat. Even from year to year, it’s impossible to know exactly what to expect! Ready to travel to Czech Republic? Don’t forget to protect yourself with travel insurance! When is spring in Czech Republic: From mid-March until May. What to expect in spring in Czech Republic: Around mid-March the cold winter temperatures begin to break and the snow begins to melt throughout the country. Weather throughout much of spring in Czech Republic is unpredictable. Expect many windy and wet days in the first half of spring with temperatures warming up significantly during the latter part of May. What to wear in Czech Republic in spring: With the cool and wet weather, you’ll want to dress in layers including warm waterproof outerwear like a softshell jacket. There’s a possibility of temperatures dropping below 0ºC (32ºF), so be sure to pack a light winter jacket and a sweater in your backpack. Late spring is the best time to hit the hiking trails in Czech Republic—don’t forget to pack your hiking shoes or hiking boots! Gearing up for spring hiking in Czech Republic? Check out our top picks for the top men’s hiking shoes and top women’s hiking shoes! When is summer in Czech Republic: From June until mid-September. What to expect in summer in Czech Republic: Summers in Czech Republic are generally warm and humid. Daytime temperatures can reach beyond 30ºC (85ºC), but are more often around 20ºC-27ºC (70ºF-80ºF). Rain and thunderstorms are also common and unpredictable. Tourism numbers get huge during the summer, especially in July and August. What to wear in Czech Republic in summer: Throughout much of the summer, you’ll be able to wear short sleeve shirts and shorts in the Czech Republic. Carry a lightweight travel umbrella and an ultralight waterproof shell in your daytrip backpack to be prepared for the inevitable rain that comes along with the humidity. When is autumn in Czech Republic: From mid-September to mid-November. What to expect in autumn in Czech Republic: Between the middle of September and the beginning of October is the last chance of the year for warm weather in Czech Republic. Pleasant warm days with clear skies are common. Past mid-October, expect true fall temperatures to kick in. Daytime temperatures become chillier with several rainy days scattered in. Snow usually begins to fall by mid-November. Sub-zero temperatures will start becoming more frequent after mid-November and into the winter months. In terms of tourists, autumn is significantly quieter than summer. Crowds tend to dwindle off even more near the end of the season. What to wear in Czech Republic in autumn: Autumn is a real mixed bag of weather. You could need anything from a lightweight rain jacket to a light winter overcoat depending on the day. It’s best to dress in layers during autumn in Czech Republic with a light sweater and outerwear. Gearing up for autumn in Czech Republic? Check out these recommended rain jackets for men and recommended rain jackets for women! When is winter in Czech Republic: From mid-November to mid-March. What to expect in winter in Czech Republic: Winters in Czech Republic are generally cold, grey and wet. The coldest temperatures hit in the country in January and February. Snow often begins to fall by mid-November and could last until March. Daytime temperatures below 0ºC (32ºF) are common. Some winters are more pleasant than others; you might just get lucky! Winter in Czech Republic is solidly within the low tourist season. You might be able to find some excellent flight deals to Prague and cheap accommodations if you keep your eyes open. What to wear in Czech Republic in winter: To be comfortable in Czech Republic during winter you’ll need to wear warm clothing. Pack warm waterproof outerwear and dress in layers. Keep your feet warm and dry with insulated waterproof shoes or winter boots. Overview of weather in Czech Republic in January: January is the coldest month of the year in Czech Republic. Average temperatures sit at about -3ºC (27ºF). Where to go in Czech Republic in January: The winter months are the perfect time to hit the slopes in Czech Republic. Skiers seasoned in the neighbouring Austrian Alps or other towering mountains might find Czech Republic’s pistes lacking. For beginners and casual skiers, though, they are perfect! Try out Boží Dar on the German border or Špindlerův Mlýn. Overview of weather in Czech Republic in February: Like January, February in the Czech Republic is a cold and cloudy month. Average temperatures are below 0ºC (32ºF) with average lows firmly in the minuses at -4ºC (39ºF). Be sure to bundle up for the outdoors. Where to go in Czech Republic in February: If you’re into outdoor activities, February is, along with January, the best time to ski in the Czech Republic. Both cross-country skiing and alpine skiing are popular. Winter also offers some of the best opportunities to soak in Czech spa towns. 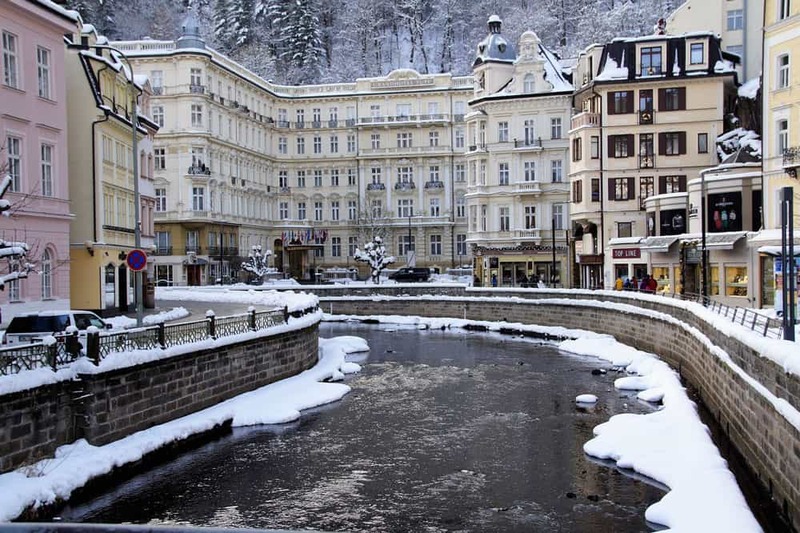 The famous spa towns of Karlovy Vary, Mariánské Lázně and Františkovy Lázně are all quick day trips from Prague. Overview of weather in Czech Republic in March: The first half of March is cooler when winter-like temperatures are still present. Spring weather begins in the latter half of the months. Expect average daytime highs towards the end of the month to inch into the mid-teens. Where to go in Czech Republic in March: Visiting Prague in March offers a chance to see the Czech Easter markets in action. Like Prague’s Christmas Markets, Easter markets in Prague are a colourful tradition that both travellers and locals dig. Movie lovers could also check out Prague’s two March film festivals, One World International Human Rights Film Festival and Febiofest. Overview of weather in Czech Republic in April: Although April is firmly into the spring season, weather can still be quite unpredictable. Snow isn’t out of the cards in April. Winds are high during April, so you may need to bundle up with warm layers including wind- and waterproof outerwear. Where to go in Czech Republic in April: With the cooler temperature and consistent rain, exploring Czech cities and towns is better than planning outdoor activities. 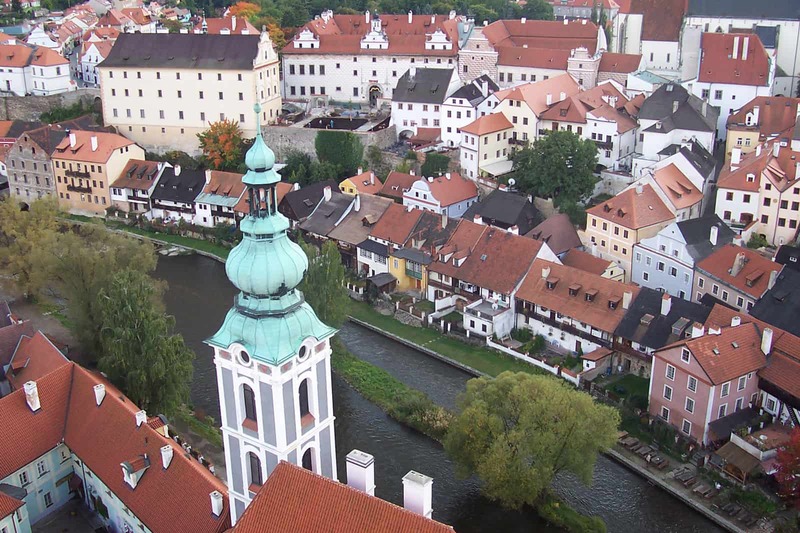 Besides crafting a great Prague itinerary, gear your Czech Republic itinerary around places like Ceske Budejovice, Cesky Krumlov, Telc, and Brno. Be sure to plan your activities outsides the Passover and Easter holidays to avoid getting stung by attraction closures. Overview of weather in Czech Republic in May: May is a mostly pleasant month to travel around Czech Republic. Daily temperatures begin to increase and there are usually several sunny and warm days scattered throughout the month. Cool temperatures are still a possibility until mid-May, especially during the “frozen saints” days (May 12-14). Pack some warmer clothes just in case! Where to go in Czech Republic in May: May is perhaps the best time to visit Prague as the spring/summer festival season kicks into gear. Beer lovers descend upon Prague in May for the Czech Beer Festival. Other festivals beginning in May in Prague include the Prague Spring Music Festival, Prague Food Festival, and the Prague Fringe Festival. Overview of weather in Czech Republic in June: The first true summer month is not only one of the warmest but the wettest. Afternoon rain and thunderstorms are common. Average temperatures are around 15ºC (59ºF) with average highs of 19ºC (66ºF). Nighttime average lows dip into the single digits. Where to go in Czech Republic in June: Tourist high season starts rolling in June. As long as you book your rooms well in advance, most of the Czech Republic is open for travel. Even with the crowds, spend time poking around Prague’s best tourist attactions or finding fun things to do in Brno. Enjoy the Czech Republic’s best urban outdoor spaces on sunny warm days. Even if you just stick to the capital, round out your itinerary by enjoying a couple interesting Prague day trips. Overview of weather in Czech Republic in July: The warmest month of the year in Czech Republic is July. Expect warm days with temperatures soaring to 30ºC—and beyond—on occasion. The high humidity brews up afternoon storm with frequency. Average highs sit above 20ºC (68ºF) throughout most of the month. Where to go in Czech Republic in July: Like June, July is the perfect time to spend outdoors discovering the best cities in the Czech Republic. If you want to escape the biggest crowds, choose lesser-known destinations like Telč or Olomouc. Overview of weather in Czech Republic in August: Like July, August is a hot and humid month. Heat waves are common during August as are sudden afternoon rain showers and thunderstorms. Daytime average temperatures usually sit in the 20s with highs pushing past 30ºC at times. Where to go in Czech Republic in August: Tourists still teem throughout the Czech Republic in August. Major cities like Prague and Brno are often quite crowded at this time of year. Escape to eastern Czech Republic for a (hopefully!) quieter vacation. Overview of weather in Czech Republic in September: The beginning of September can be a pleasant time of year to travel around the Czech Republic. Tourist crowds are generally beginning to slow down and the daytime average high temperatures are still warm at around 17ºC (63ºF). September is often a drier month than August with plenty of sunny skies to boot. Where to go in Czech Republic in September: As September is one of the driest and warmest months with smaller tourist numbers, nearly everywhere in the Czech Republic is at your fingertips. Other than Dvořák’s Prague Music Festival, there aren’t many major celebrations throughout the country. With respite from the heat and humidity of summer, September is a great time to hit the outdoors. Hiking in places like Bohemian Switzerland National Park and Adršpach-Teplice Rocks is lovely at this time of year. Overview of weather in Czech Republic in October: October is the first true autumn month in Czech Republic. Temperatures are much cooler than in September with some rainy days thrown in the mix. By the end of the month, average temperatures sit around 8ºC (46ºF) with average highs only reaching 11ºC (52ºF). Where to go in Czech Republic in October: Both the Prague International Jazz Festival and Signal Festival take place in Prague during October. Although the temperatures are cooler, travelling around the Czech Republic when the fall colours in full swing is magical. 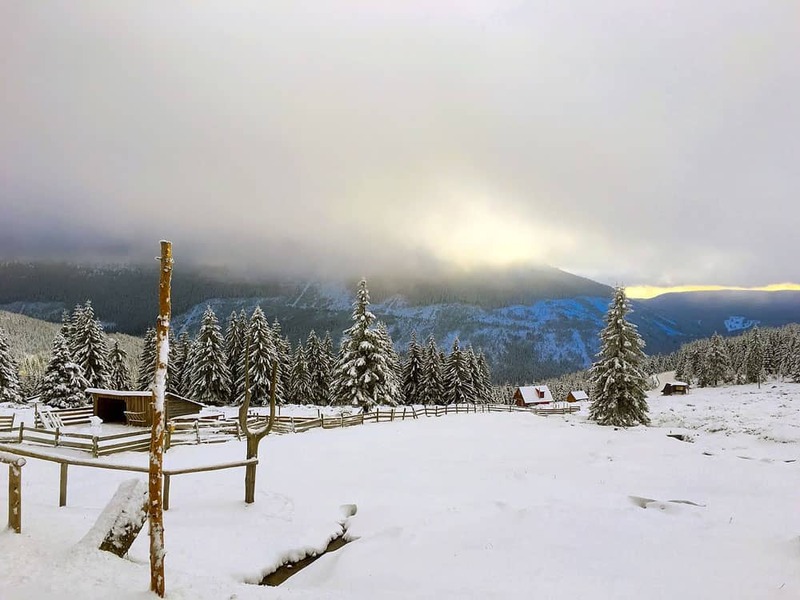 Overview of weather in Czech Republic in November: The Czech Republic’s first snowfall often happens in November. In November, fall gives way to winter-like weather as temperatures begin to dip below 0ºC (32ºF). Where to go in Czech Republic in November: Don’t let the cooler fall weather stop you from exploring the Czech Republic! As long as you bundle up, you should still find it pleasant to travel throughout the country, especially with the shrinking tourist crowds. Catch cities like Prague and Brno or towns like Kutna Hora, Karlovy Vary and Cesky Krumlov after their first snowfall for incredible wintery photography opportunities! Overview of weather in Czech Republic in December: December is the first full winter month in Czech Republic. Snow has usually fallen by this time, creating a magical scene for anyone willing to tough out the cooler temperatures. Average lows in December dip into the sub-zero range at about -3ºC (27ºF) while daytime average highs peek only slightly above freezing at 1ºC (34ºF). Where to go in Czech Republic in December: As long as you can handle the cold, Prague is majestic during the Christmas season. Meander through the Czech Republic’s famous Christmas markets, starting several weeks before Christmas, to celebrate the season Central European style. Time your visit with St. Nicholas Eve (December 5) to see angels and devils scour the streets in a Central European Christmas tradition that’s a little more frightening than we’re used to in North America! The best time to visit Czech Republic is late spring or early autumn. The best month to visit Czech Republic is May or September. There’s no doubt: Czech Republic is becoming a tourism powerhouse. Spending time there during summer proves it. The only way to avoid the crazy crowds while still enjoying comfortable weather is to visit during the shoulder seasons of late spring and early fall, especially May or September. 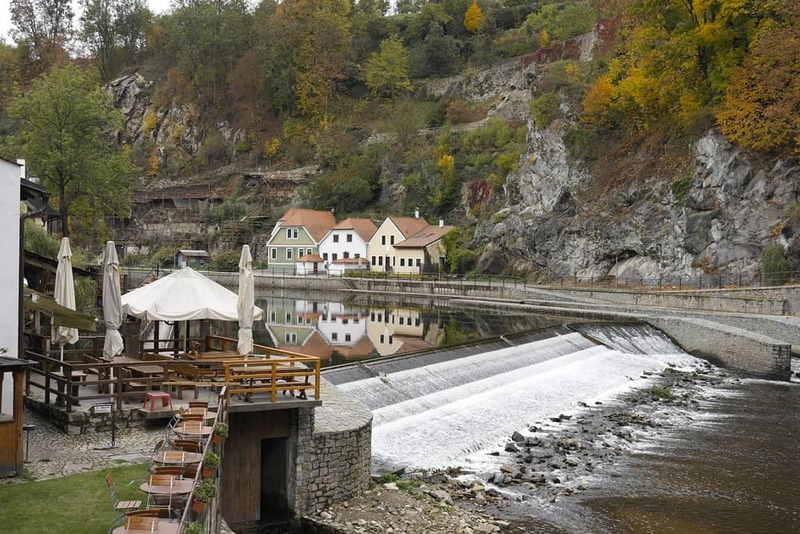 Although you still won’t find peace and quiet as you would visiting places like Albania or Macedonia in shoulder season, visiting Czech Republic in May or September is a good compromise. In both months, the temperatures are pleasant and the crowds are much smaller than in the height of the tourist high season of July and August. Aim for the latter half of May or the first half of September if you want the best weather.